All work and no play doesn’t make a person happy. We need to balance out these two things to be productive and happy at the same time and a lot of companies around the world are putting a lot of effort into this. 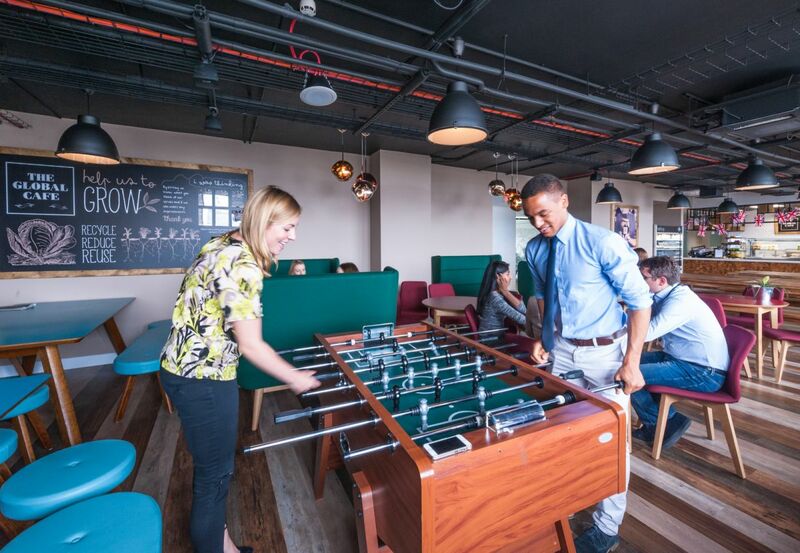 Every office needs a space where employees can relax, unwind and have fun. These office playgrounds are what a bustiness needs to truly be successful. Learn from the best but don’t forget to always be creative and original in your ideas. 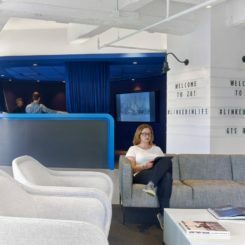 Google’s office complex in Boston, Massachusetts has this lovely lounge area where employees can relax and interact with each other during their breaks. It has comfortable sofas, armchairs, chic tables from place to place and even a mini golf set. It’s sort of like a living room but at the office. A design by Nelson. 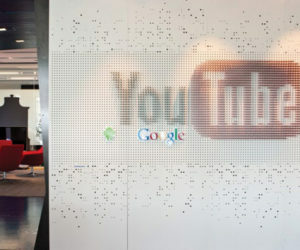 In fact, every office and headquarter that Google has is designed in a similar way, with layouts and decors that reminds people that it’s important to be happy and to enjoy waking up in the morning to go to work. 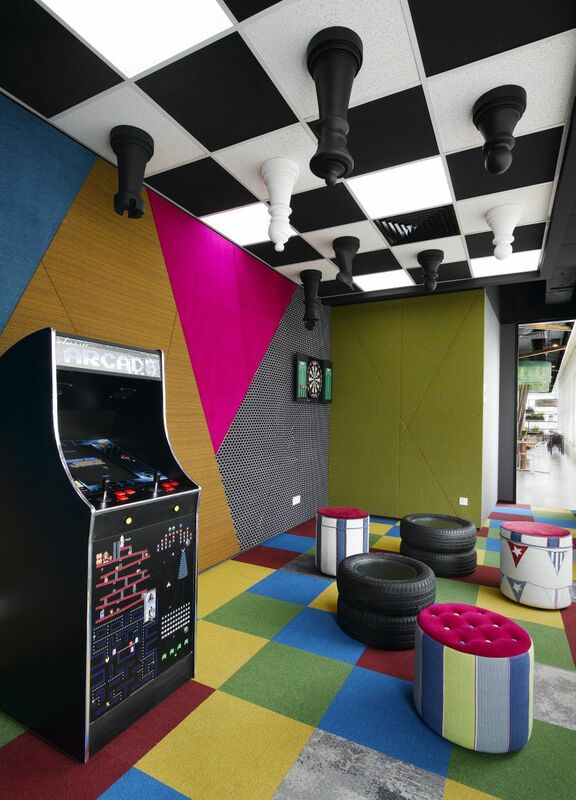 Their office in Kuala Lumpur, Malaysia for example, has a gaming room with brightly-colored walls, chess pieces on the ceiling and vintage arcade machines. The space was designed by M Moser Associates. 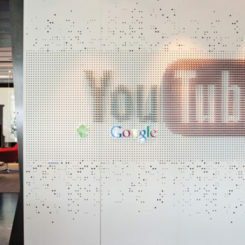 Then there’s also Google’s Amsterdam office designed by D/DOCK. 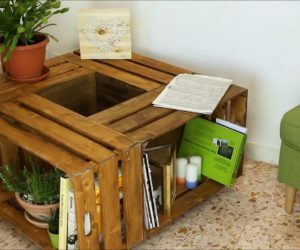 It combines elements of industrial and contemporary design and it puts a fun twist on all of its spaces. 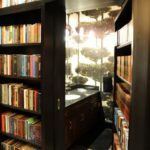 Some areas look like they’re pure fantasy while others, like this game room for instance, are just cozy and fun enough to recharge one’s batteries and to inspire new ideas. 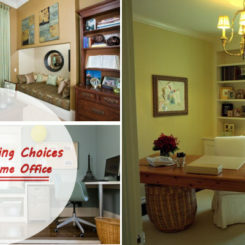 Of course, an office doesn’t have to be huge to include a lounge space or to have a fun zone. 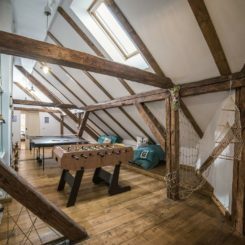 The Presslabs office from Timisoara, Romania mixes work with pleasure in a really cool and seamless way. 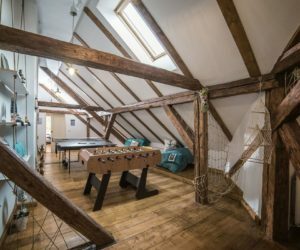 The attic is this cozy space with floor pillows, a foosball table and a few other things and with skylights and exposed wooden beams that create a bright and warm feel. 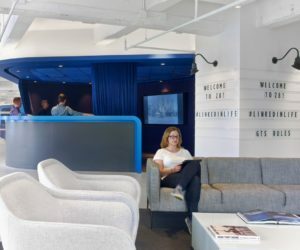 Openness is a characteristic of most large offices these days and one example is the space designed by SSDG for Cossette. The office is located in Vancouver, British Columbia and features this wonderful brightness gives by all the white surfaces. They’re complemented by lots of green features and by a wooden floor that unifies the work and play areas. A white pool table with gray accents maintains the clean and simple look. 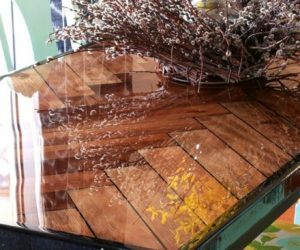 The cheerful, playful and colorful look suits certain settings but there are also companies that prefer to also add a refined tough to their lounge areas. 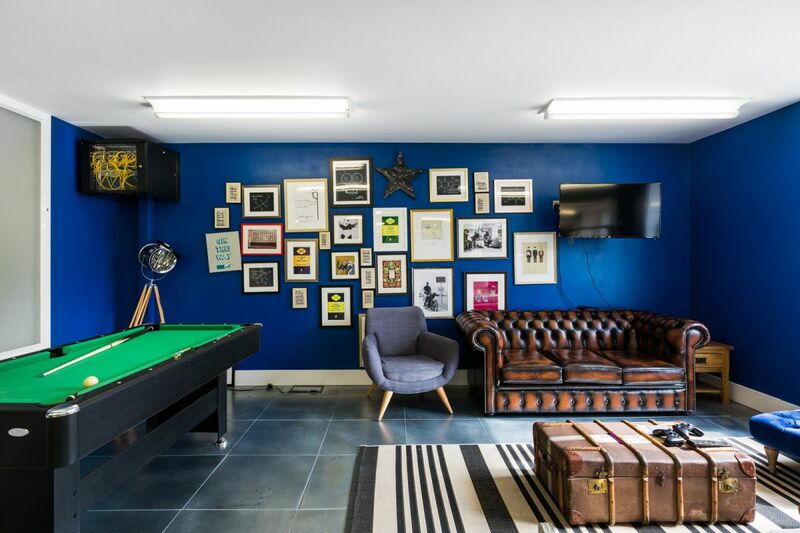 The Worldstores office in London was designed by ThirdWay Interiors and its relaxation corner features a vintage suitcase coffee table, a retro tufted leather sofa that features a beautiful brown color which contrasts with the blue accent wall behind it. 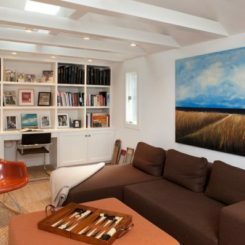 We can also see a pool table here which, together with the gallery wall, puts a cozy and relaxed spin on the décor. From a name associated with cute and little online games you’d expect an office full of color and cheerfulness. 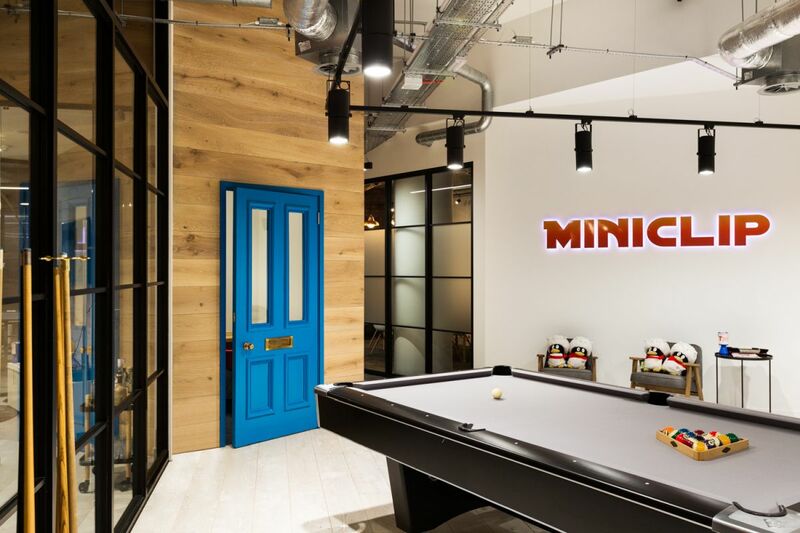 The Miniclip office s in London, however, have an industrial vibe which we didn’t really see coming. 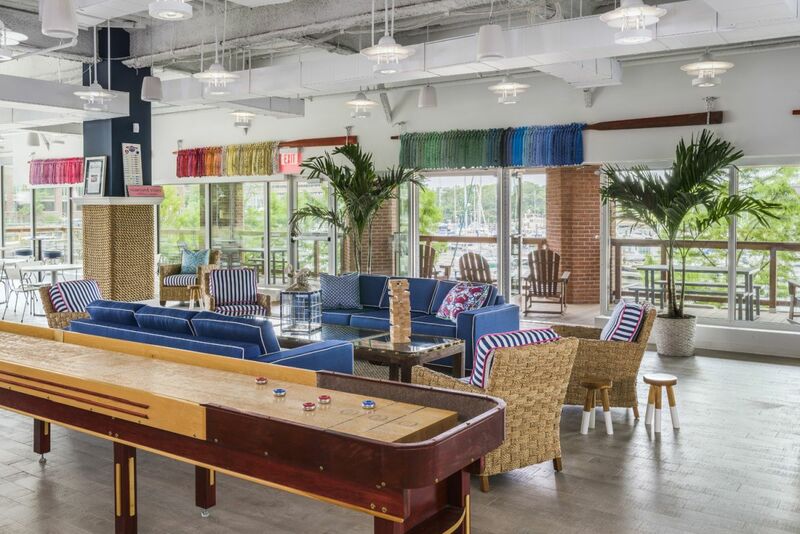 We actually find this space charming, especially the break room which has a pool table at the center and cute and colorful touches from place to place. It has a nice mix of professionalism and fun. 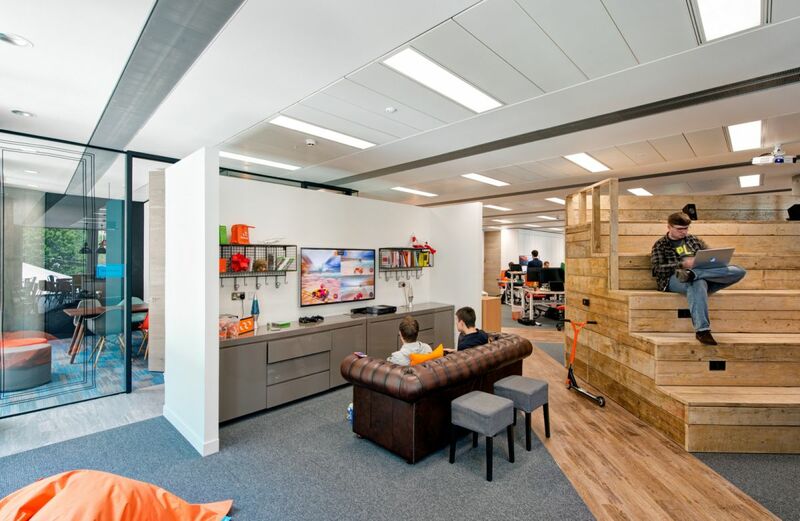 The office was designed by ThirdWay Interiors. 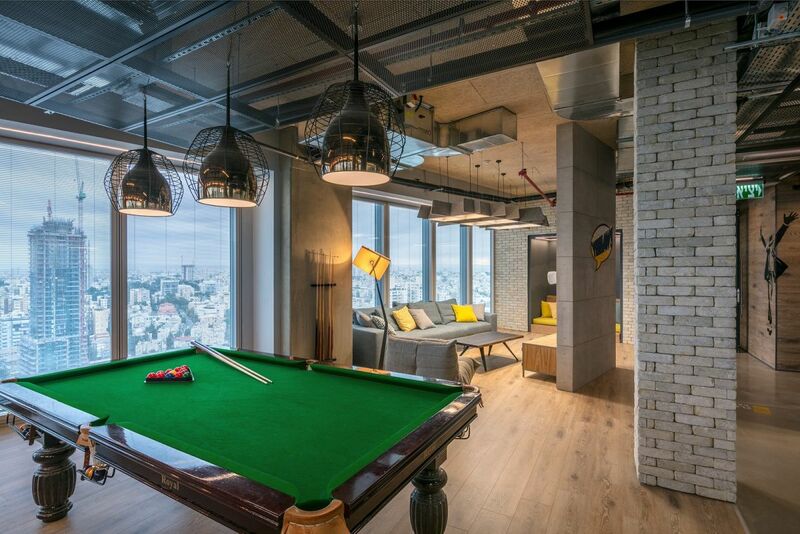 This is the break room that Setter Architects designed for the Verint offices in Israel. 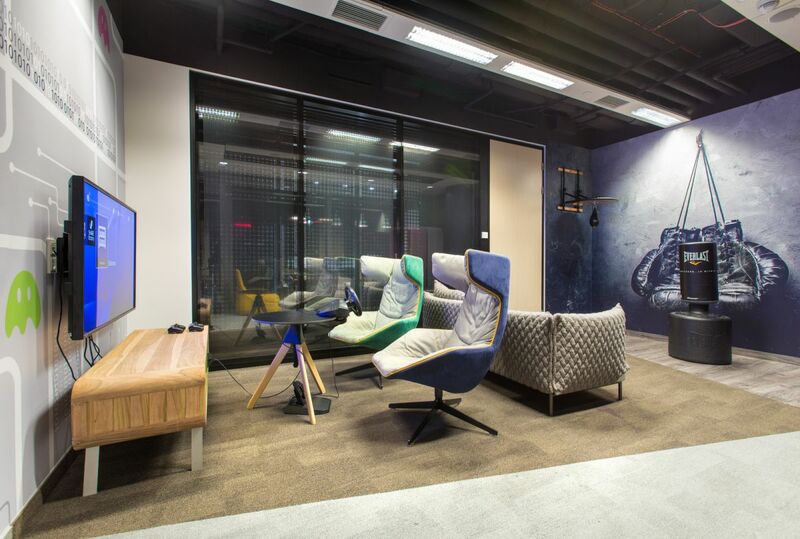 Spread over 6 floors, the offices total 20,000 square meters of floor space which are organized into bright and open work areas, common lounge spaces and cozy spaces such as this one. 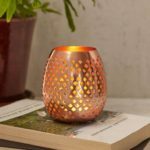 It has an accent wall that adds texture to the décor, soft-glowing pendant lamps, comfortable and colorful furniture and some fun games to play. Ever wanted to play giant chess? 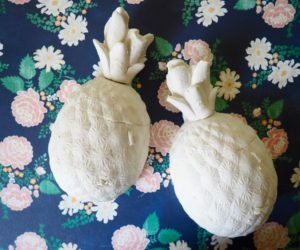 it’s an idea that we’ve seen represented in movies and games or read about in books but that’s been actually created in real life on very few occasions. 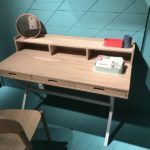 Well, the office created by WTL Design for JD.com has one. 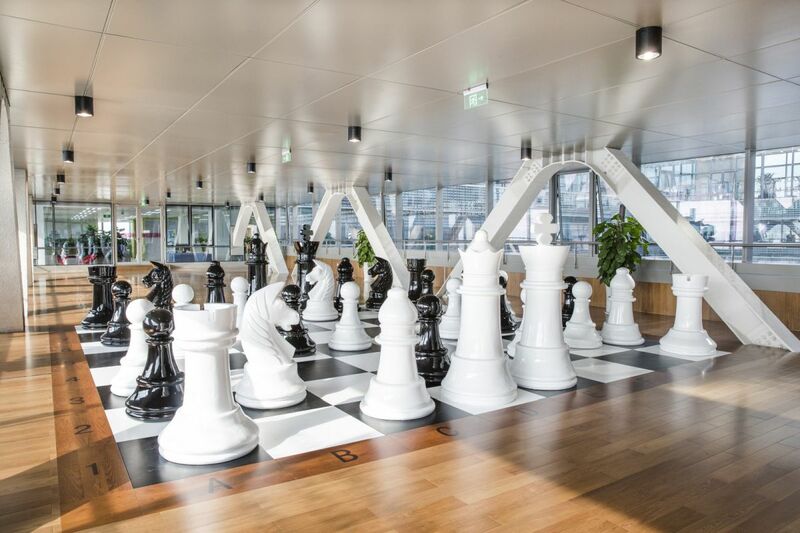 The office is located in Beijing, China and its giant chess set is both a sculpture and a fun feature if you actually get to play with the pieces. 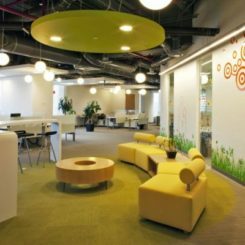 An office playground or break room doesn’t have to be huge, extravagant or filled with fantastic contraptions to be fun and to make everyone happy. We learned this from Dynamic Commerce, the company that has this welcoming office in Germany. Its working areas are actually just as fun as this game room. 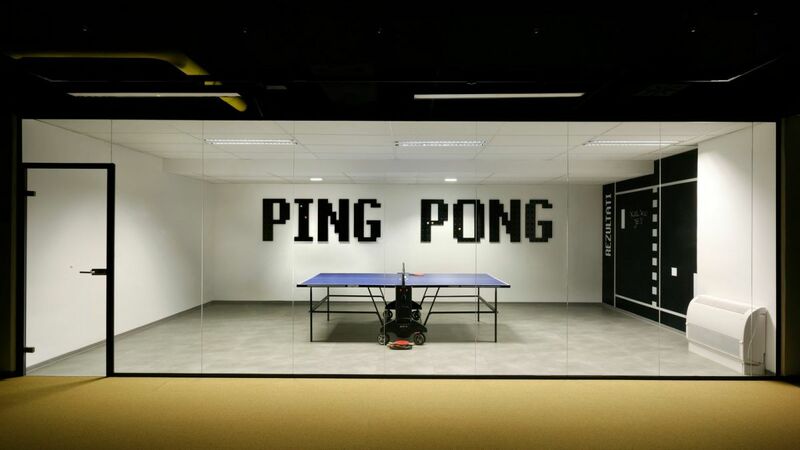 Whenever you’re stuck on a task and you feel like you need a break, to unwind and refresh your mind, go play some ping pong with one of your coworkers. It’s what the teams working in the Nanobit offices get to do. 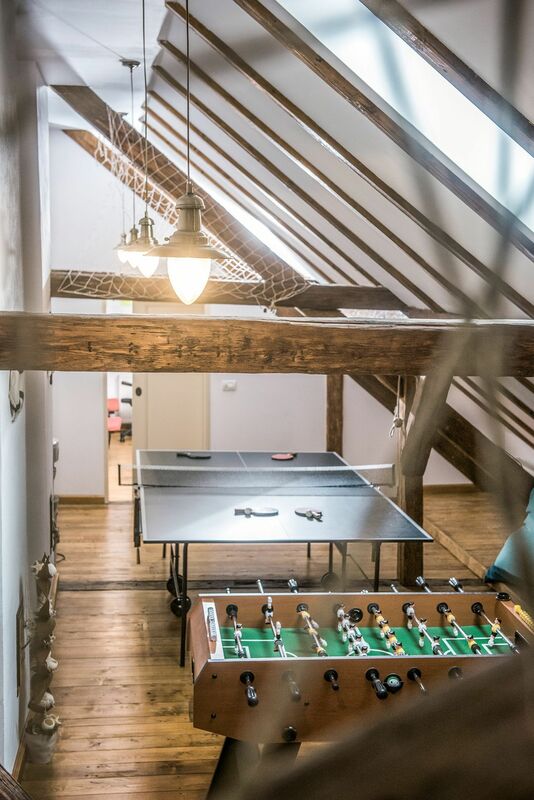 Their Zagreb office was designed by Brigada and has an actual ping pong room, with a table, tall décor and everything. 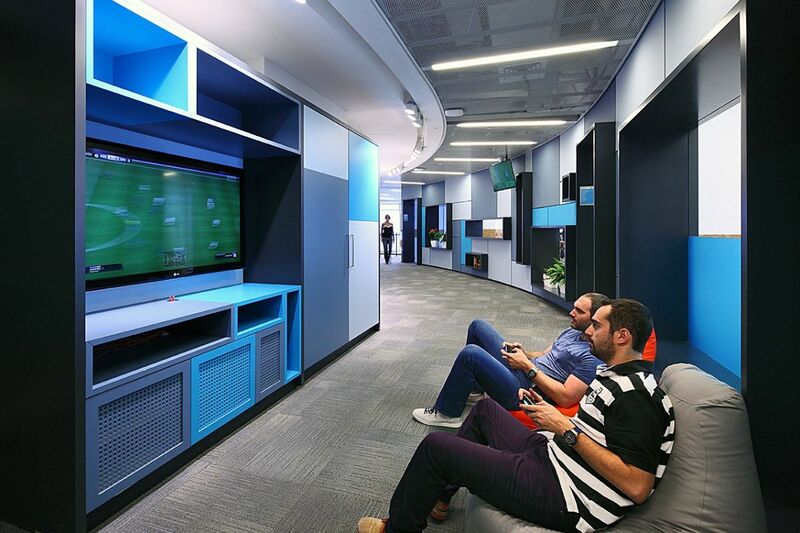 Those working in the Cardlytics offices in Atlanta, Georgia take fun and relaxation seriously. Their office was designed by Smith Dalia Architects and it’s furnished with comfortable lounge chairs, hanging chairs and benches that give the industrial building a cozy feel. There’s also a pretty large area where arcade games and other similar things can be found. 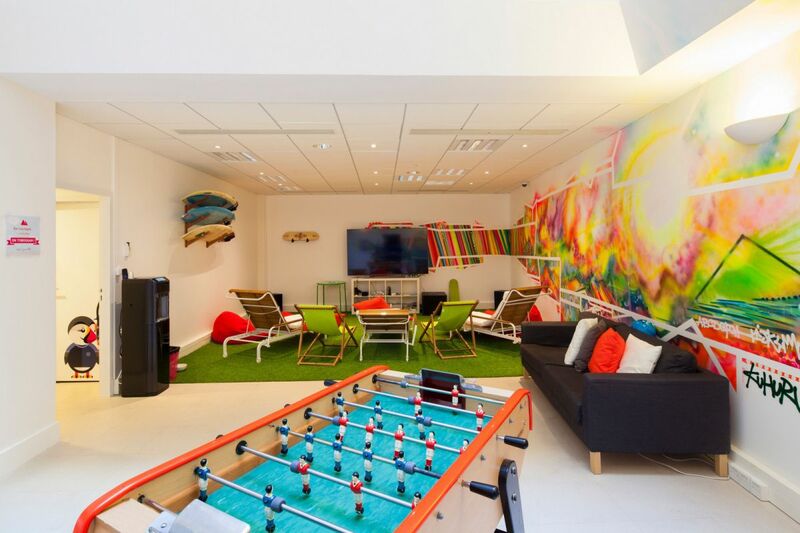 How cool would it be to work in an office that has a playground designed for adults, with all the fun things like a slide, funky chairs and even a space for playing football and other sports. That’s actually a description of the office designed for Valley Forge Fabric in Florida. It was a project by Stantec. A large wall on which to draw with chalk…now that would make a lot of kids happy. As it turns out, adults enjoy to draw too and a chalkboard wall is a fun feature to have in a company office. Take for example the space designed by Bergmann Associates for themselves in Rochester, New York. 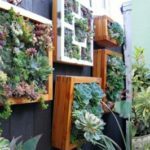 The wall is just one of the things that make this office fun and employee-friendly. The transition from warehouse to office is a pretty big one and every company and every architect or designer deal with this differently. 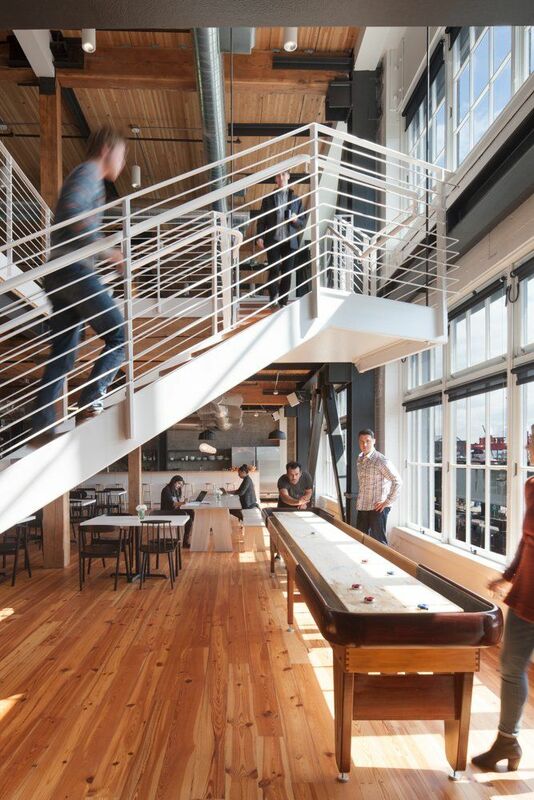 When Graham Baba Architects designed the new offices of Artefact in Seattle, Washington, they tried to maintain an open and cohesive feel throughout and to seamlessly mix play areas with lounge spaces and work sections. 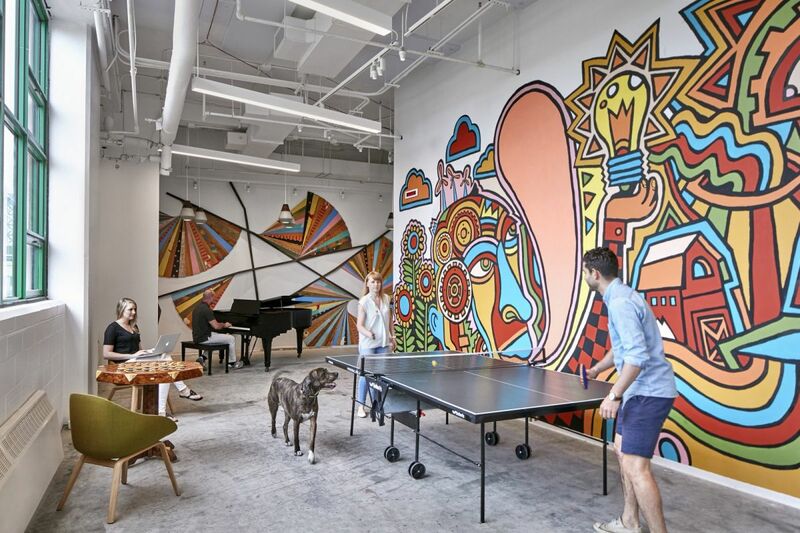 For Etsy, color and character are very important and you can see that by looking at the company’s office in Brooklyn, New York. The space was designed by Gensler and has a very fresh and dynamic vibe throughout. 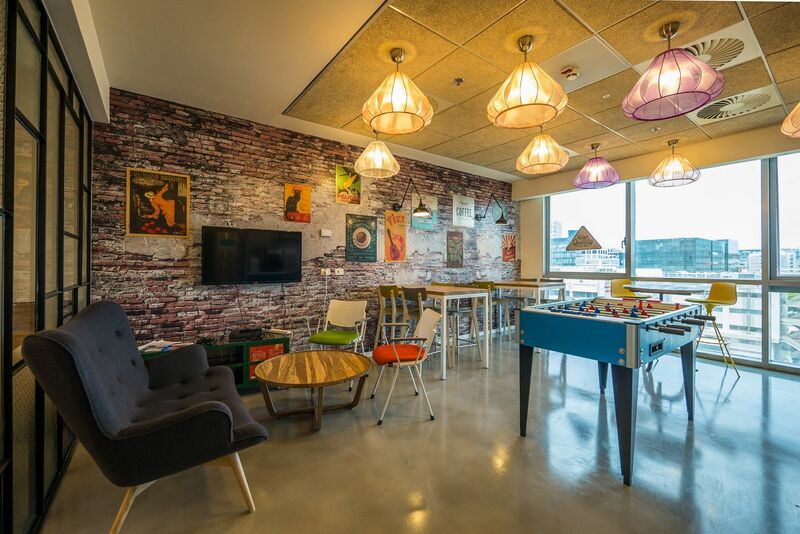 This is the break room where one could play ping-pong, play the piano or just sit down, relax and read a book. 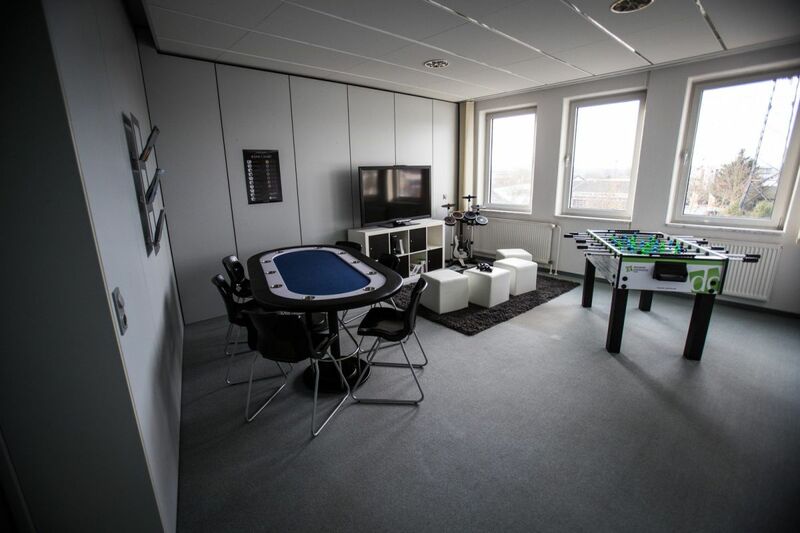 This is the new office of the Dragonplay/Scientific Games company. 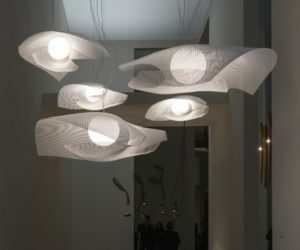 It’s located in Ramat Gan, Israel and it was designed by Gindi Studio. 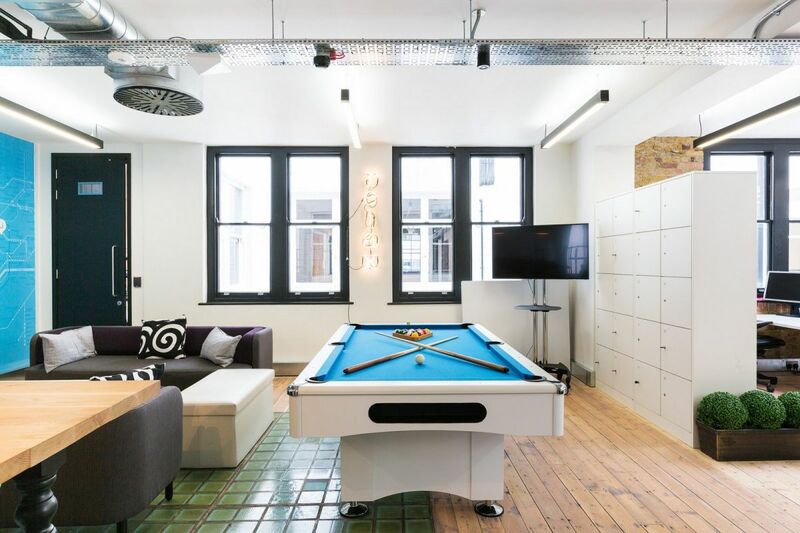 It’s not exactly the type of office to stand out although it does have some interesting features like this pool table and the cozy lounge space next to it. It’s not the extravagant office playground other companies have but it’s what the people wanted. We really enjoy how cozy and inviting this lounge play area is, particularly the rattan chairs, the wall décor and window treatments and the fresh vibe brought in by the potted plants but also the beautiful view which can be admired thanks to the large windows and the room’s connection to a terrace. The office was designed by CPG Architects. 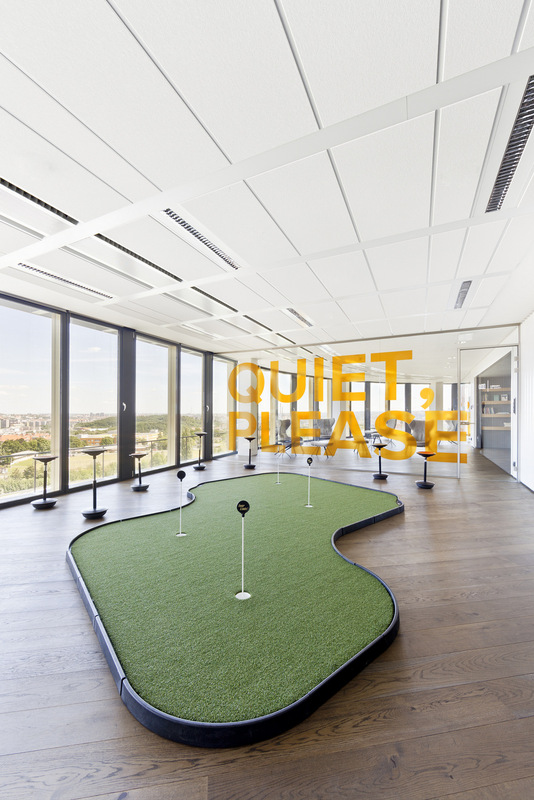 Golf is a very relaxing sport and VRTIŠKA • ŽÁK found a way to integrate it into the new offices of Avast Software that they designed in Prague, Czech Republic. They created this separate room with a miniature golf set at the center and a bunch of bar stool spread around it. 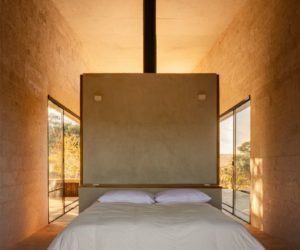 Full-height windows let in natural light and views of the surroundings and the ambiance is very quiet, peaceful and relaxing. 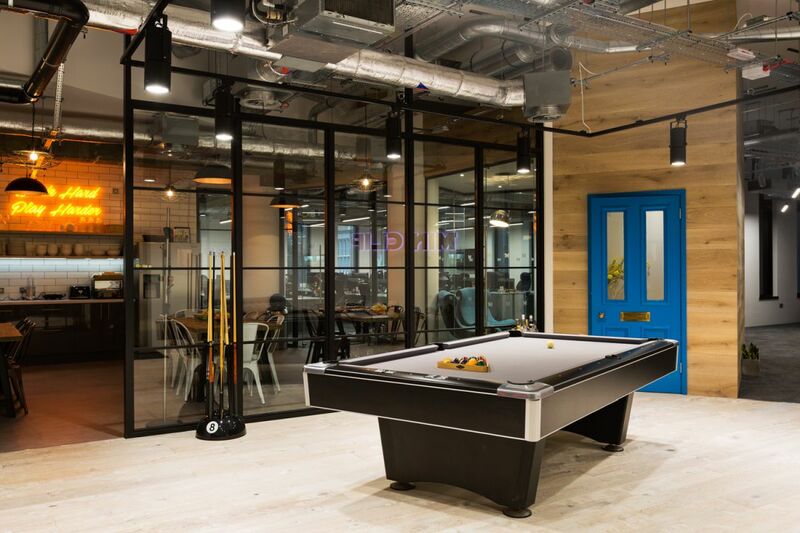 When they designed the London offices of Currency Cloud, CCWS made sure to include plenty of spaces where employees could unwind, relax and have fun. For example, they designed the conference rooms with blackboard walls and had hammock chairs put in the lounge areas. There’s even a video game area. A lot of big company offices are actually remodeled warehouses and beneath all the colorful and charming finish you can still see some exposed pipes, beams and other things that reveal the building’s history. 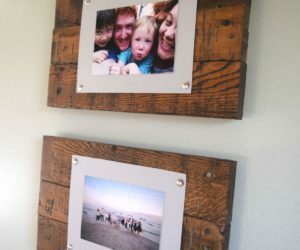 Sometimes it’s better to hide these things but other times they actually add character to the space. 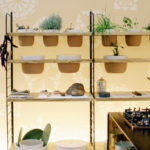 One example is this break room of the Body Shop office designed by Maris Interiors in Croydon, England. It’s quite different than the rest of the office and this makes it special. 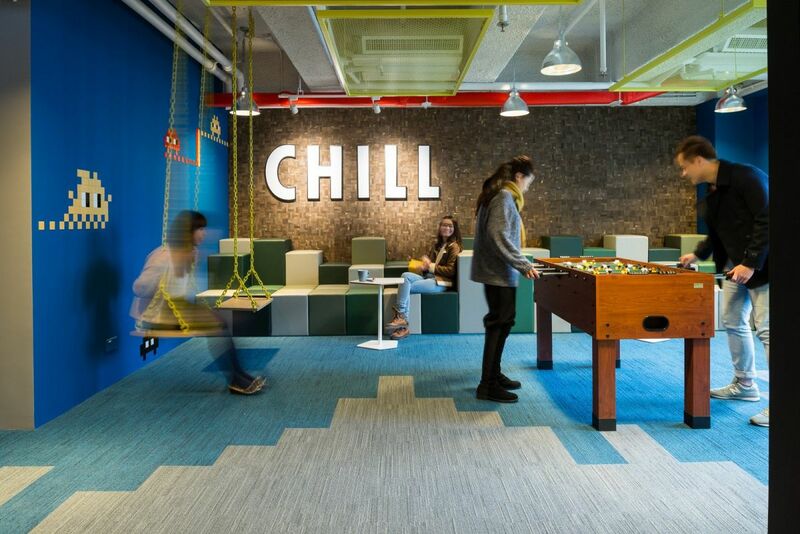 A great idea that any office can make the most of is to let the employees take part in the interior design process. 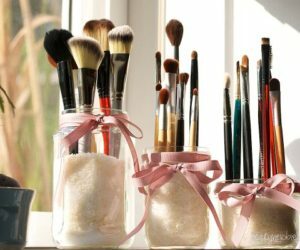 They could use their skills to make the space beautiful and personal by painting the walls, picking the color palette, the furniture and even the theme of the décor. 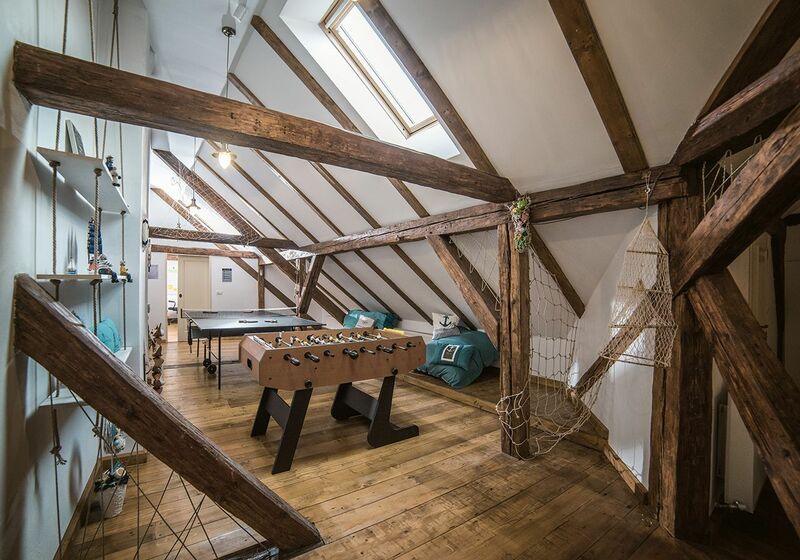 The Paris office of the company PrestaShop was designed in-house and it looks amazing. This is their break room. Bright colors aren’t always the answer. 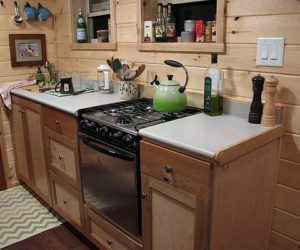 They’re not always what a space needs to be fun and cool. Massive Design used a rather neutral chromatic palette when creating the interior of the EY offices in Warsaw, Poland. Even the accent colors are toned down but this doesn’t make the game room any less great. 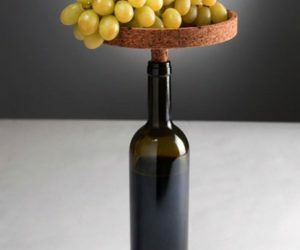 If anything, it gives it a refined and elegant look. 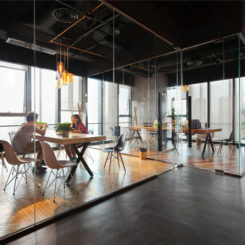 At the end of the day, what really matters about a workspace is that those using it enjoy being there and that usually had a lot to do with the atmosphere. 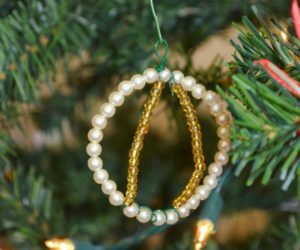 Of course, the décor and design matter as well. 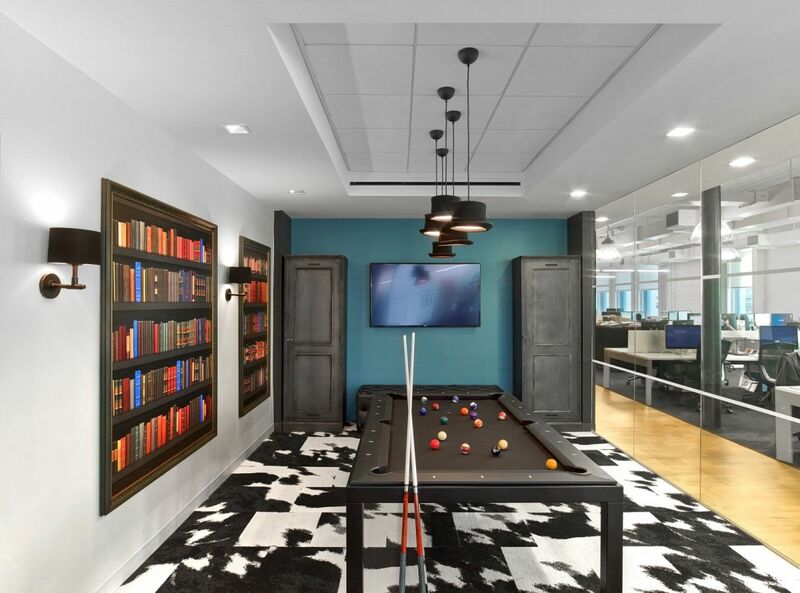 TPG Architecture focused mostly on the materials and the ambiance when they designed the offices of Condé Nast Entertainment, located in New York. Even the break room looks simple, wrapped in wood and with minimalist light fixtures. Doesn’t this space look chic and refined? It’s the office break room of BGB Group. 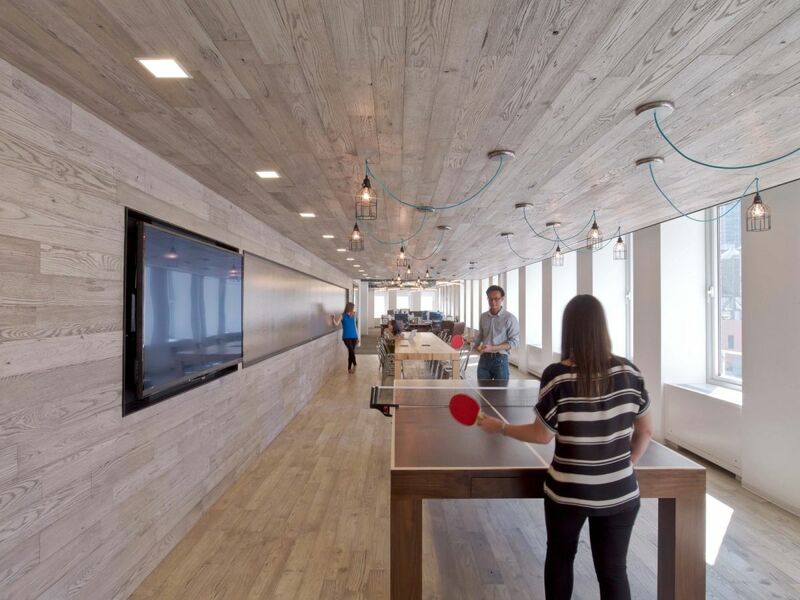 The office is located in New York and was designed by TPG Architecture. We really like the pendant lamps that look like classy hats and the turquoise tone chosen for the wall in the back which contrasts with the brown accents and the patterned rug. 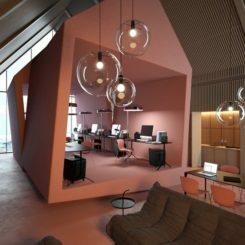 The Wave is a co-working office space where start-ups and individual professionals can work together under the same roof. 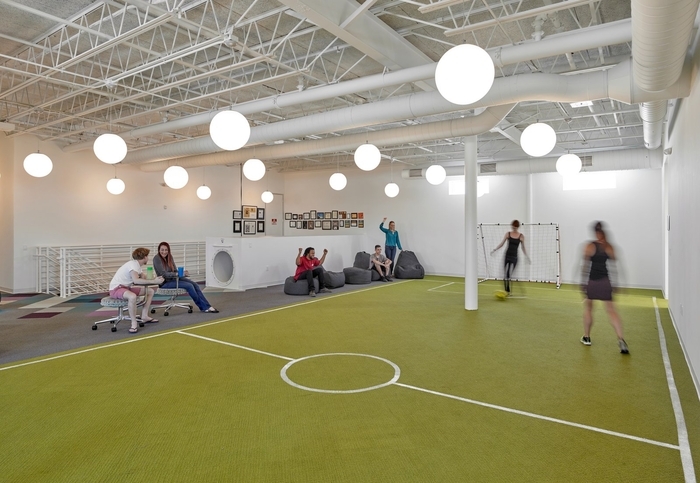 This shared space has all sorts of cool things like swings and games in the break room and an overall design and layout based on flexibility and modularity. 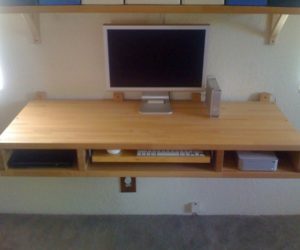 Everything can be organized and structured in a variety of ways, allowing people to interact and to form connections every day. 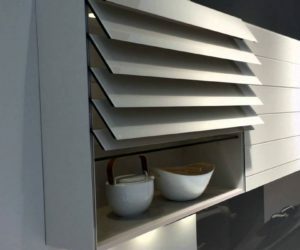 The interior was designed by Spatial Concept. 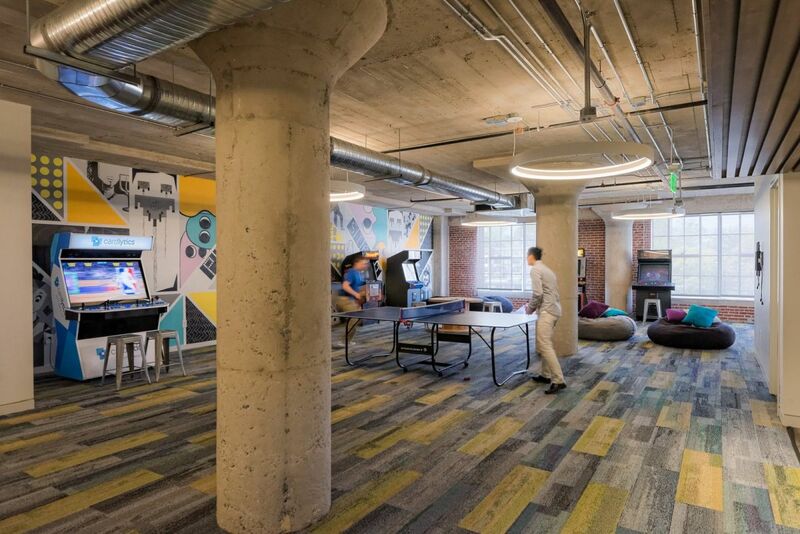 Software company Atlassian has a new office in Austin, Texas. It was designed by Iauckgroup and it’s a blend of modern and industrial. 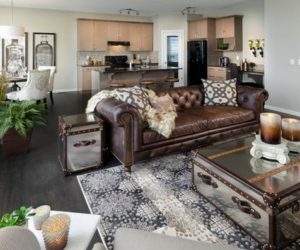 The color palette is a combination of warm neutrals and bright and vivid tones that ensure a dynamic décor. In the break room, large windows reveal panoramic views of the city that make everything that much more enjoyable. It seems pool tables at the office are pretty popular. Lithium has one as well in their office in London. 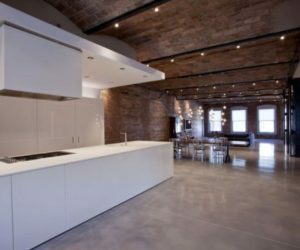 The space was designed by Thirdway Interiors and has a crisp white shell complemented by exposed brick, wood and metal accents as well as by funky accent colors carefully selected for every room. The lounge and game area, for instance, is decorated mostly with cool colors such as blue and green. The Tel Aviv office of software company AVG has an interesting spatial configuration. It seems that the game room is not actually a room but rather a circulation hallway. Beanbag chairs provide comfortable seating in the video game area. It seems that there’s also a music room which is pretty cool and original. The office was designed by Auerbach Halevy Architects.